I’ve never watched the original Battlestar Galactica but I really fell in love with the new series. The pilot hooked me, and the first episode of the first series, 33, is an excellent example of a tense, well paced episode. The character dynamics are fascinating, in particular the relationship between Commander Bill Adama and his son Captain Lee Adama. The way the producers got the series structured to build up to an epic conclusion is well done. Although some of the secondary characters that were killed off annoyed me but mainly because I liked the characters. I can see why they were killed off though. Of all the good episodes I feel the final episode was a let down. It started out really well with The Galactica going on the attack to rescue a child that was in Cylon hands. Then it all went wrong. They took each of the surviving characters and wrapped their individual stories up. Some were good to see, some were heart breaking. Others were just plan bloody annoying, Starbuck’s in particular. I liked the idea of what the producers were trying to do with the final episode, going from the heroic final battle scene to winding up all of the characters stories, but the bit that got me the most was the final scene. I don’t see why that was needed. So this is my problem, I really want to get stuck into Series Two which Tracie brought me for our 1st year together anniversary, but I don’t want to lose the entire of the next week through watching this. I get home from work at about 6:20 each night. Now after shower, dinner etc. its anything between 7pm and 7:30pm so what I’m hoping to do is get some writing stuff done and any other bits and pieces (drying dishes etc.) by 9pm so I can watch two episodes a night and still get a good nights sleep. Earlier this year I did a Battlestar Galactica marathon (Should really write a post about that) and I lost almost all my writing time because of this (I am easily distracted!) and I really don’t want to lose that amount of time again if I am honest. I have had an amazingly busy day at work today so I got home feeling shattered but I did manage to get some editing done. 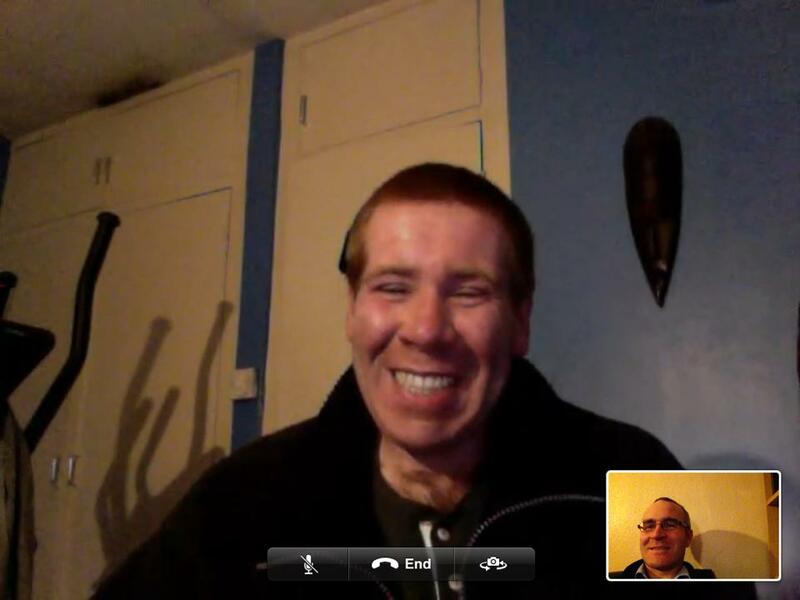 Me and Owen also had a chat via FaceTime and got some bits and pieces tidied up. On Haywire I am really getting into this one, I’m reading this quicker than I normally read a book so to me that is always a good sign. I’ve also finished series three of Battlestar Galactica as well so I’ll start series four next week. And here’s a picture of Owen. This is a little later then I was planning but I got a little side tracked with a little bit of writing, which is a good place to start. I got some little bits done on Project Apollo, I’m not sure if this bit I did tonight will make it into the final cut but I think it’s pretty good so I’ll give Owen a brief idea of what it is and where I’m going with it once its done. I think it’s a good bit of character development and at the same time building the universe as well as a side note to one of the plot threads, a minor one but still important. I’m over halfway through my Battlestar Galactica marathon and I’m taking some good points from it, mainly characters and how they are written, its also good studying the actors as they play them. It’s good cause I’m taking note of how the characters differ and seeing as some of my early work had a lot of carbon cut out characters it’s been a good way to learn how to create individuals. Tomorrow I am going to chain myself to my desk and get some editing done on Avoiding The Game. I’ve lost a little momentum this week with it as I have realised I’ve forgotten a minor continuity issue, its not a major one. In fact all it is is that I’ve forgotten that the bit I’m writing has a lot of snow on the ground and I’ve forgotten to mention that at all since I first wrote it! Oops! It just means I have to go back and add a few little sentences here and there but it was the thought of having to go over something that I had already done a pass on but live and (hopefully) learn. Now I’m off to dive into Haywire by Justin R. Macumber once more. I’ve read sixty pages in Two days. Now I’m a slow reader and normally do about fifteen, maybe twenty pages before bed, so that’s a good sign that I’m enjoying this one, a lot! When I wrote a quick post about mine and Owen’s brainstorming session on Monday I forgot to mention that the cheeky sod gave me homework, homework!!!! 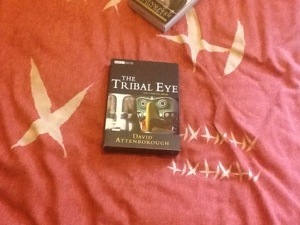 He is very keen on one part of our Project Apollo universe having a strong tribal element so he’s given me a David Attenborough series about tribes. I am quite looking forward to watching it if I’m honest. After Owen gave me this bit of homework I asked him what he thought of Battlestar Galactica, he gave me a guilty, sheepish smile, so no. I felt it would be helpful to him but he said he did not want to be influenced by other work that is similar. I can see what he means by that and I have heard other writers say the same, but I’ve also heard writers say that we need to read in our genre so we can see what other people are doing which will can inspire our own work. Ill admit I’m a big Galactica fan and seeing how the Galactica moves and how the Vipers and Raptors move has convinced me that’s the way to go with the space craft movement in this huge universe that Project Apollo and Project Delphi are set in. I think Battlestar Galactica did a lot of things right which has given me a lot to think about with some of the more background details. I can see Owen’s point of view though. I’m dire it can be viewed as thieving ideas from others work but to me it is not. I think it’s a great way to thrash an idea out, and lets face it there is always something in one of our favourite books, TV shows, films etc. that we would change. We are inspired and influenced by what fiction we’ve consumed. Owen is very highly influenced by The Lord Of The Rings, which is evident in what he writes. I think I’m influenced by Battlestar Galactica, Star Wars, Star Trek (mostly the later shows). These and other books, movies and shows do affect how I write. When I was watching Spartacus I found I was writing, dialogue in particular like how it is written in that show. The programme itself also gave me a very good idea for something of my own.